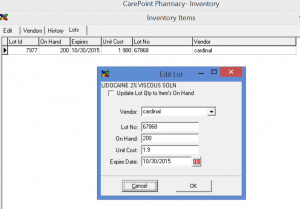 When using the regular compounder (or when not creating batches with Advanced Compounder functionality) inventory can be tracked by lot number. This is important when there is a recall and the lot that has been used has an issue. 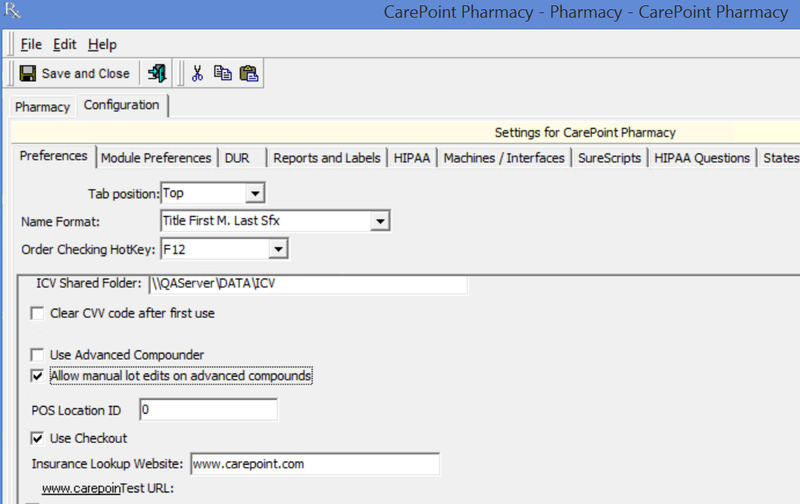 The pharmacy can query prescriptions dispensed for lot numbers that are related. 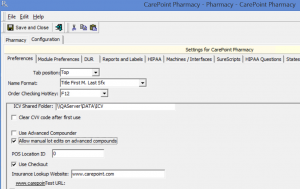 Important to track ingredients of the compound by lot number as well as the compound lot assigned. 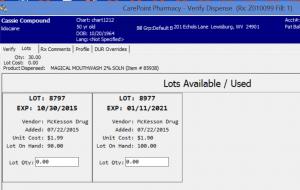 The user still assigns the lot to the Rx at the verify dispense. 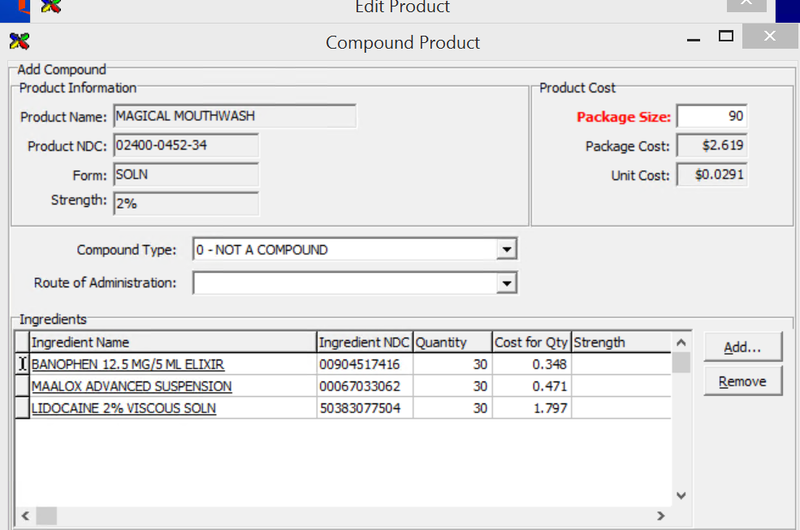 To set this up, make sure the ingredients are entered by NDC and lots are related on the inventory item record “lots” tab. 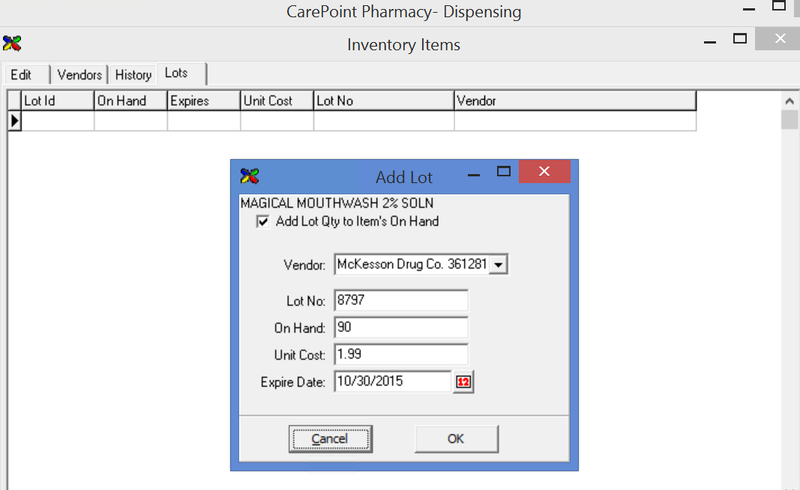 When saving the compound entry OR at any time by accessing the inventory item record for the NDC number, open the item and click to the Lots tab. Click new and enter a new lot. 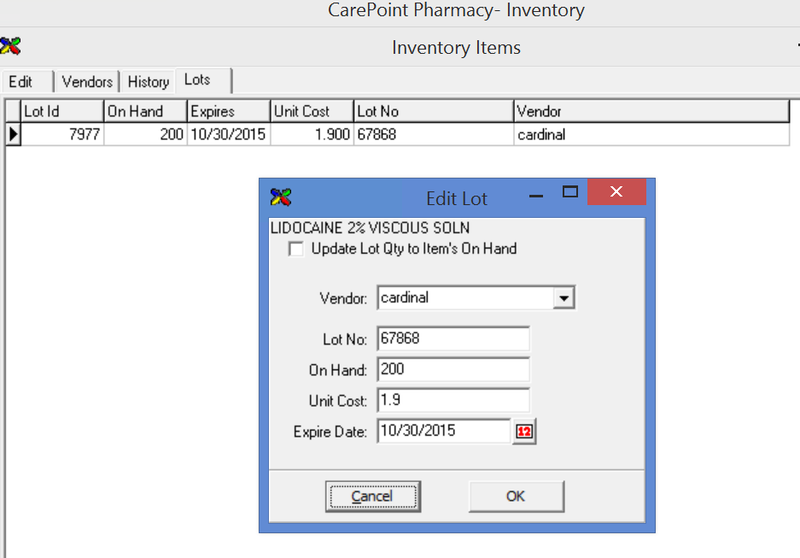 If you need to update the on hand amount of the product at the same time click “add lot quantity to items on hand” amount. 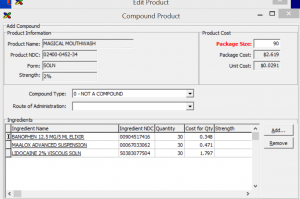 Each ingredient is also related to a lot number when the prescription is dispensed the tracking can relate the NDC number for the compound and its lot down to the ingredients and the individual lots. 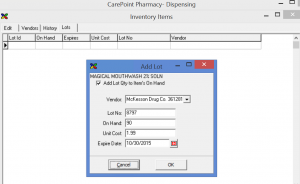 When dispensing and using verify dispense the lots tab can have one to many lots available. New lots can be added “on the fly” as well. When a lot is not available to assign while verifying dispenses, make sure you have this flag set to allow manual lots to be added while on the lots tab. The lots tab will show the “add new lot” button to access. 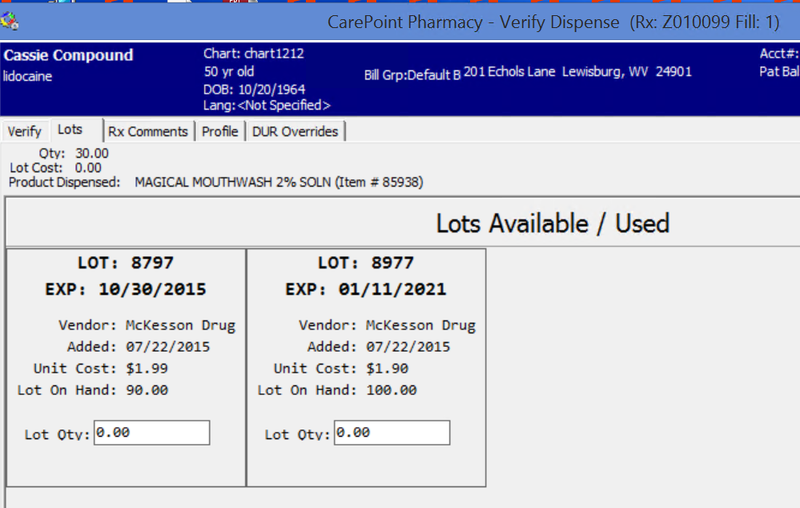 As lots are decremented on the compound, the inventory item record will show the amounts used per lot of the compound.